A rare Christy’s Top Hat, made with white gold beaver fur has gone on sale at Oliver Brown ahead of Royal Ascot. It’s in perfect condition for its age and is a truly exquisite piece with a list price of £25,000. Circa 1840 white gold beaver hat by Christy's 'Best' make London is on sale at the Oliver Brown store on 75 Lower Sloane Street, chelsea with a list price of £25,000. the hat size is 7 1/8+, height above rim is 6 3/4 inches and the depth of rim 2 3/4 inches. The hat comes complete with a letter of provenance and the original cardboard box, the condition for its age is absolutely stunning. Oliver Brown is one of London's finest top hat specialists, and the only representatives of top hats at royal Ascot where they take a stand. Their collection comprises of beautifully polished antique silk top hats, as well as contemporary alternatives. Owner and Creative director Kristian Robson has long established Oliver Brown as a leading retailer to sartorially aware gentleman wanting traditional, British made tailoring of the highest quality. 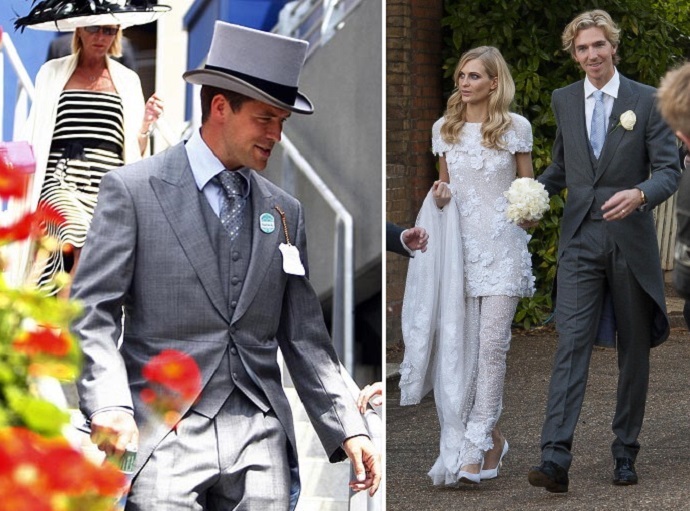 A host of famous faces including Rory Bremner, Poppy Delevingne's husband James cook, Michel roux Jnr and Michael Owen have visited the shop on Lower sloane Street and worn morning wear pieces from Oliver Brown's bespoke and ready-to-wear collections. Oliver Brown also have a superbly tailored formal morning wear collection, created to offer quintessentially British style and elegance for the discerning gentleman. Inspired by their heritage and tradition, they have created the latest classically cut collection using only the finest quality British fabrics. Oliver Brown offers a full hire service for their superbly tailored morning wear collection, which gentlemen are invited to book in online as well as in store. If you spot the white Gold Beaver Fur Top Hat at Royal Ascot make sure you let us know! I know I will be on the look out.